A November view on Islay, looking over to Killinallan Point from the track down to Kilnave Chapel. The Barnacle Geese were quite easily spooked that day and flew up frequently. Here the can be seen passing over the dunes at Killinallan Point with Mala Bholsa in the background. 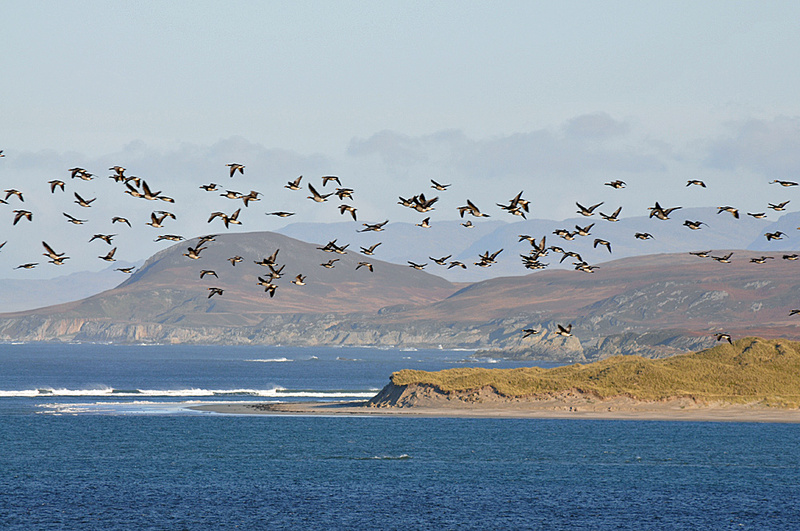 This entry was posted in Beaches, Landscape, New Post, Sea Loch, Sunny Weather, Wildlife and tagged Barnacle Geese, Killinallan, Kilnave, Loch Gruinart, Mala Bholsa by Armin Grewe. Bookmark the permalink.